Extend your Veeam infrastructure to the cloud, with just a few clicks. Veeam Backup & Replication v8 introduced Cloud Connect technology to provide remote backup repositories through Storagepipe — and other certified cloud providers — within Veeam's exclusive trusted network. Cloud Connect allows you to quickly link your Veeam repositories to Storagepipe's Cloud, enabling cloud-based protection for your local virtual machines and data. You can now take advantage of Storagepipe's offsite storage and disaster recovery features combined with Veeam Cloud Connect to keep your virtualized applications protected and restore your files, virtual machines and enterprise applications back to your local environment as needed. Through Veeam Cloud Connect, you can leverage Storagepipe's worldwide data center locations to maximize the value of your Veeam investment and achieve geo-redundant offsite protection for your organization. Storagepipe has been a leading provider of online backup and disaster recovery services since 2001, and was the first partner to offer Veeam Backup and Replication in an as-a-Service model — including all the hardware, software and offsite storage needed — for complete protection. The new Cloud Connect capability makes it EVEN EASIER for Veeam users to take advantage of Storagepipe's state-of-the-art cloud and specialized DR capabilities. Storagepipe's Veeam Cloud Connect is the convenient, secure, and economical choice for protecting your Virtual Machines and physical servers, with backups off-site. Easy Configuration Setting up backup and replication to Storagepipe through Cloud Connect is easy. Simply use the same Veeam console from your existing backup and replication tasks to add Storagepipe as a service provider target. This allows you to replicate to Storagepipe's worldclass multi-tenant cloud infrastructure without complex setup or configuration. VMWare and Hyper V Whether you are using VMWare or Hyper V, we support you. Storagepipe protects both platforms so that you can be confident in your data protection and the operation of your applications & critical systems in the DR environment. hello WAN Acceleration Thanks to Veeam Cloud Gateway, data is sent over the Internet through a secure SSL/TLS encrypted connection, using a single TCP port. This is much more convenient than working with difficult-to-manage VPN connections. And the Veeam Cloud Gateway also leverages Veeam's built-in WAN Accelerator for optimized transfer speeds and the most efficient bandwidth consumption. End-to-end Encryption Benefit from an end-to-end encrypted solution, where AES-256 encryption is applied from the customer site before being transferred through a secure TLS/SSL Internet connection to Storagepipe's Cloud Repository. Additionally, data reduction ratios will not be impacted by the fact that the data is encrypted, as is the case with other generalpurpose WAN acceleration. and Replication Storagepipe Cloud Backup with Veeam Cloud Connect allows you to select only the virtual machines you want to protect so you can decide which systems require critical near real-time replication. You can also decide which virtual and physical machines will be sent to Storagepipe's Cloud for offsite protection. All these options make it possible to manage your costs and achieve the right level of protection for your needs. Long Term Archiving Storagepipe Cloud Backup with Veeam Cloud Connect also connects to Storagepipe's long term archiving capability which allows you to meet your compliance, regulatory and internal policy requirements. Whether it's monthly, quarterly, annual or 99 years, Storagepipe can meet your needs for long term retention of your information, and do it in a cost effective way. Geographic Location For a number of reasons — including compliance, performance or general preference — it may be required for customers to store their data in a cloud datacenter in a specific geographic region. Storagepipe offers several datacenters to choose from in Canada, the U.S. and the E.U., and can even help incorporate a managed repository within your own private cloud. Technical Support Your data protection services are supported 24/7, by our highly trained staff with years of specialized business continuity experience. Storagepipe invests heavily in hiring the most technically skilled staff, and ensures they have the most up-to-date training and certifications from Veeam, IBM, Cisco, Microsoft and other leading vendors. Datacenters Storagepipe's datacenter facilities incorporate cutting-edge technologies to ensure maximum security and availability of your systems and data. 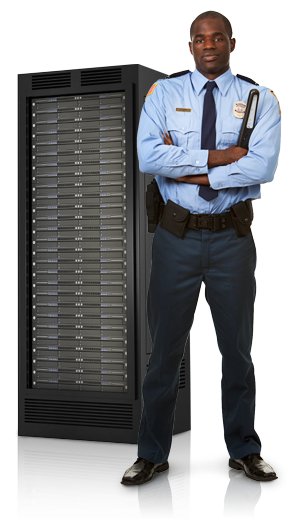 This ensures that your critical systems and information assets will remain protected against theft, fire, natural disasters and other causes of data loss or unplanned downtime. Our datacenter locations also meet your compliance needs for SSAE 16, ISO 9001/27001, HIPAA, PIPEDA and others. Getting started with Storagepipe's Veeam Cloud Connect service is fast and easy. Just CLICK HERE to open your Veeam Cloud Connect repository. Once the new repository is added, you can start using it just like a regular backup repository. Make it a target for any backup or backup copy job, and perform restore operations as you would in your local environment.